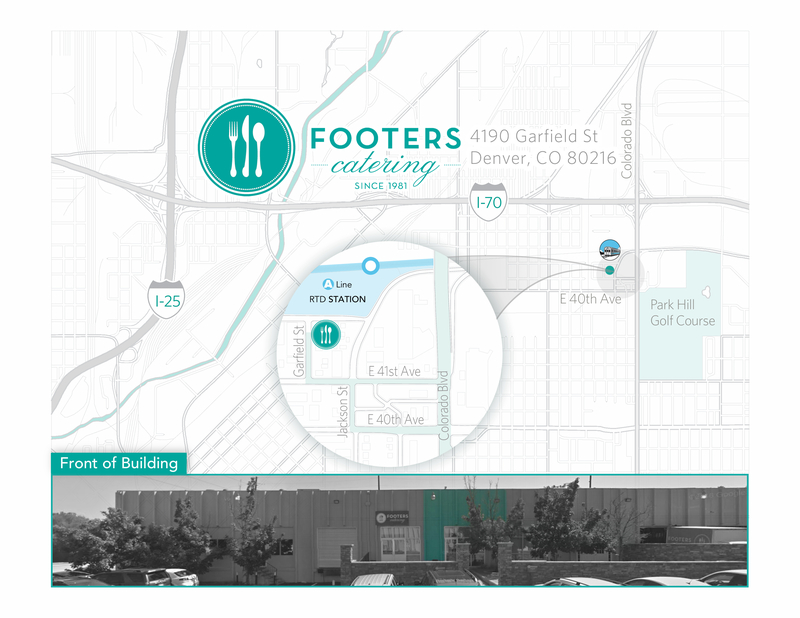 Since 1981, Footers Catering Company has been the leading Denver caterer. Here, you'll find directions to Footers, no matter which direction you're coming from. Let us turn your culinary desires into reality as we leave your guests with an experience they won't soon forget! We're located just off of I-70 and Colorado Blvd at 4190 Garfield St in Denver, Colorado.